In the sequel to the successful 2015 action/comedy “Kingsman: The Secret Service,” which earned over $US400 million worldwide on a $US81 million budget, the Americans are getting in on the action to help out their spy colleagues from across the pond. 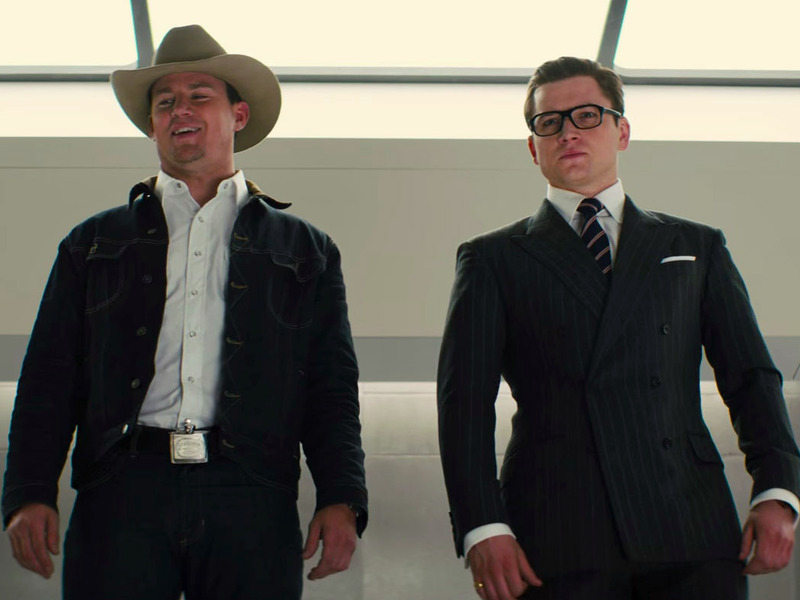 In the latest trailer for “Kingsman: The Golden Circle” (in theatres September 22), Kingsman Eggsy (Taron Egerton) and his mentor Harry Hart (Colin Firth) — yes, he survived from being shot in the face in the first movie — join forces with some good ol’ boys played by the likes of Channing Tatum and Jeff Bridges. They take on their latest villain: Poppy (Julianne Moore). Expect the action and colourful language to be kicked up a notch for this one. The movie also stars Halle Berry, Mark Strong, and Pedro Pascal.